David Jarratt-Knock was born in Newcastle-under-Lyme and educated in Staffordshire and Birmingham. He began studying the trumpet at the age of 12 and subsequently studied privately in London with David Staff and also later at the Birmingham School of Music (now Birmingham Conservatoire) with Alan Whitehead and John Wilbraham. 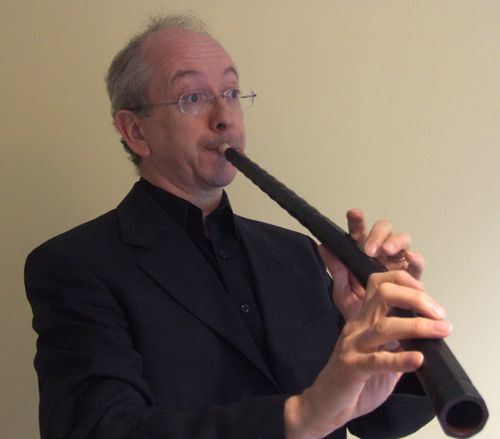 He has a keen interest in Early music, which resulted in a determination to play the Renaissance cornetto; initially learning with David Staff, he has since studied with Bruce Dickey in Italy, Jean-Pierre Canihac in Spain and Jeremy West in London. As a cornettist he is much in demand in the UK and abroad for historically informed performances of works such as Monteverdi's Vespers and has a particular interest in the virtuoso Italian chamber music of the early 17th century; he has performed with many leading ensembles, including The Gabrieli Consort and Players, The Orchestra of the Age of Enlightenment, The English Cornett and Sackbut Ensemble, Quintessential, Ex Cathedra, and The Steinitz Bach Players. He has performed in a number of productions for Shakespeare's Globe Theatre, and The Royal Shakespeare Company. He performs regularly at such venues as Hampton Court Palace in London. He is a member of Piva and the Elizabethan band Diabolus in Musica, regularly works with other specialist chamber groups in the UK, and gives recitals with the organist David Dewar.